Kicking World was selected as one of the Top Entrepreneurial Companies in America. The 2018 Entrepreneur 360™ List highlights the top private small businesses across the country. We as a company are thankful for this honor and know it would not be possible without our loyal clients who choose to train with us at our kicking camps nationwide. 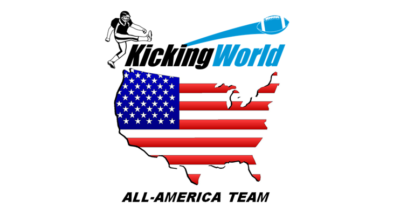 Thanks to our students, coaches, and staff for helping to make Kicking World the company it is today, and tomorrow.